More than 400 people from across the country came to Racine a week ago for Frank Lloyd Wright Wisconsin’s annual Wright and Like tour. Ten sites were featured. Their architects included Wright, Edgar Tafel, Charles Montooth, John Randal McDonald, Hans Geyer, and Helmut Ajango. Generally people who think of architecture in Racine tend to focus on Wright, Montooth, Tafel, and McDonald. But there is much more to Racine’s rich architectural heritage. Friday evening’s special presentation at Wingspread was the premiere presentation of an audio visual review of some twenty significant architects whose work is in Racine. Future presentations of the program will add Holabird and Root, Howard van Doren Shaw, and McKim, Mead, and White to the mix. These two photos show the line of people waiting to see Wright’s Thomas P. Hardy House before the tour opened. Next year’s Wright and Like will be Saturday June 3 in Milwaukee. 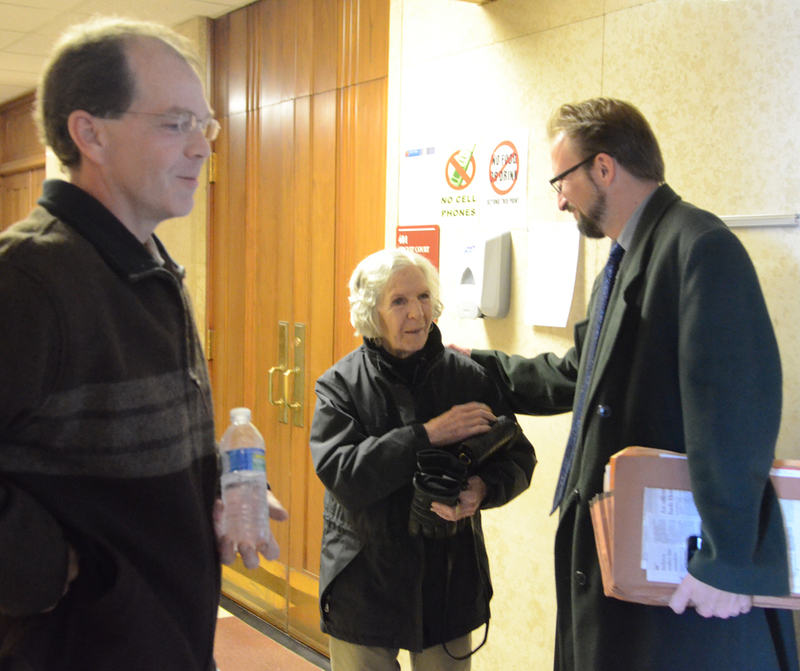 A $25 per day fine levied by Racine County Circuit Court Judge Faye Flancher on May 8 against the owners of Edgar Tafel’s Carl and Marie Albert House (1948) in Wind Point, Wisconsin, may spur them to quickly complete restoration of the house, thereby ending a legal battle that is more than three years old. The exterior of the house, above, is largely repaired, but not enough interior work has been done to allow the village to issue an occupancy permit. 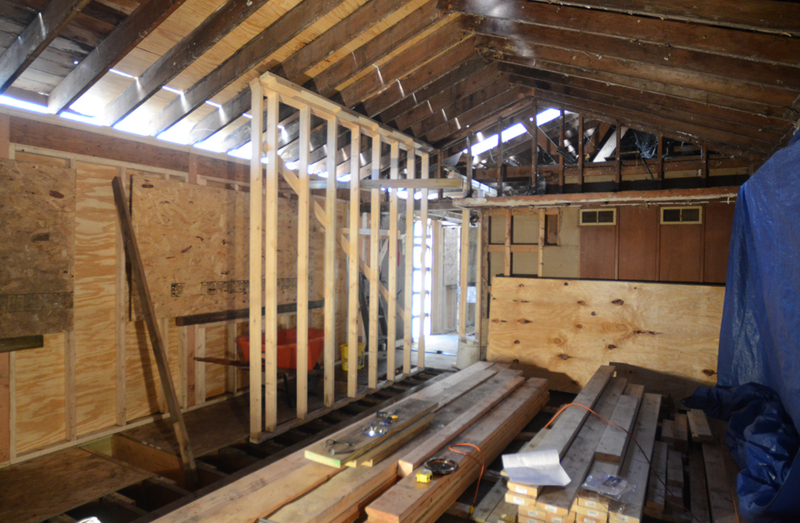 The house was deemed uninhabitable in December, 2011. The house, at 4945 N. Main Street, is on a prominent intersection in the wealthy suburb of Racine. Its location at the corner of N. Main Street and Four Mile Road has likely spurred greater concern on the part of the village than if it were in a less visible location. 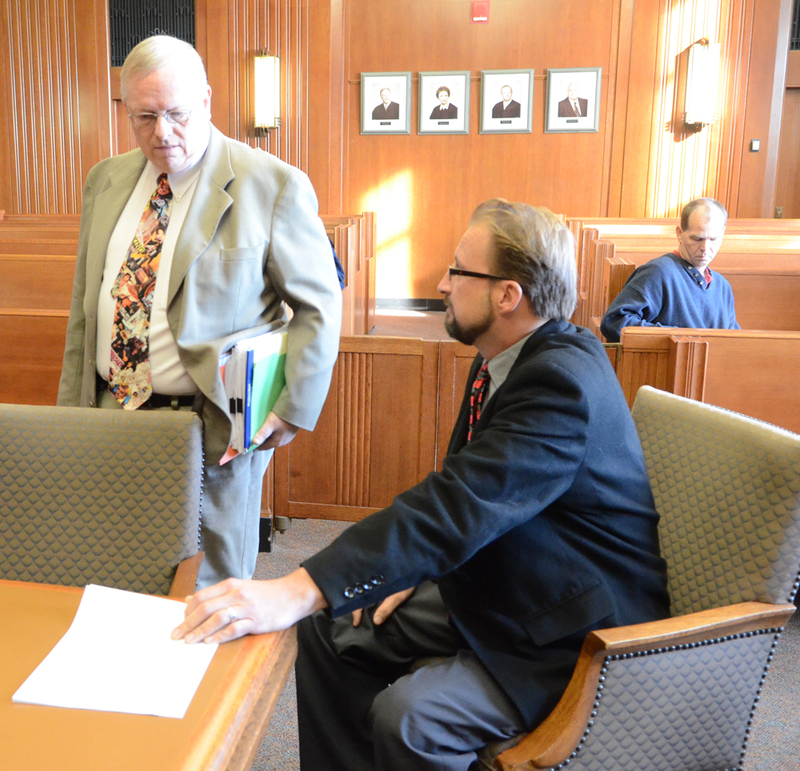 Village attorney Ed Bruner, left, and Peter Ludwig, the Schulz’s attorney, confer before the hearing. 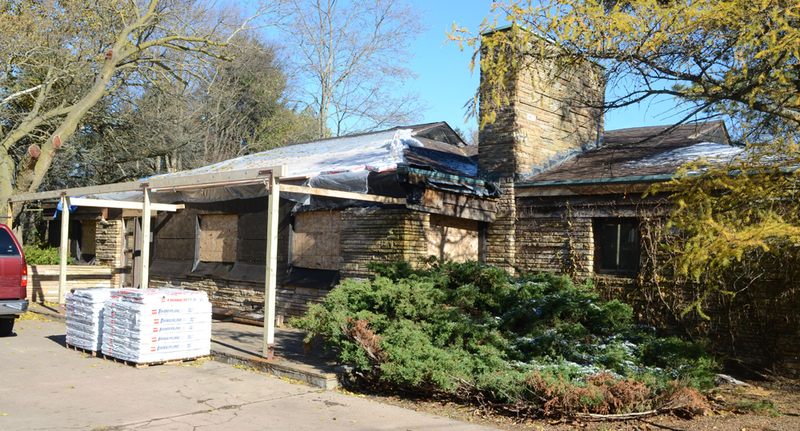 The house fell into disrepair after Joan Shulz, who bought it in 1972 with her late husband, Dr. Gilbert Schulz, walked away from it more than seven years ago to care for an ill relative. The roof leaked and interior walls were covered with mold. A tarp covered the roof for a long time. 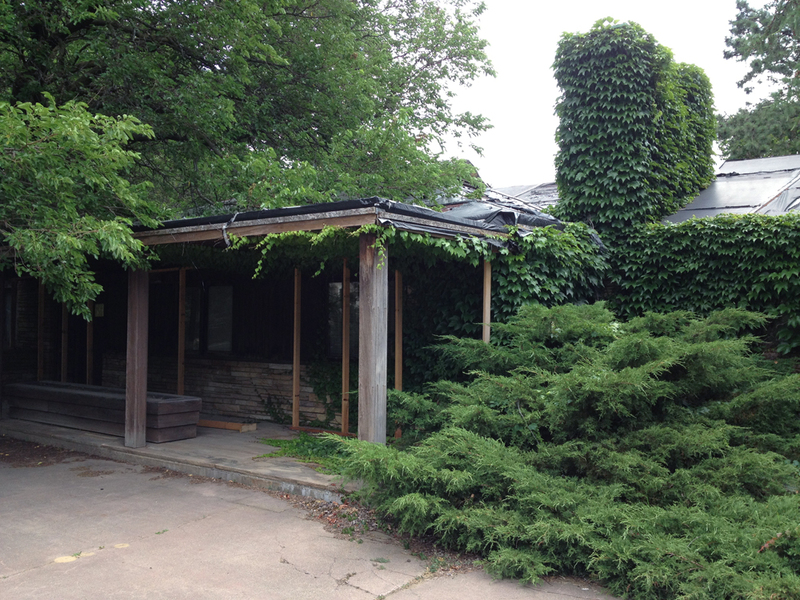 June 30, 2012: A tarp covers the roof and the front of the house is overgrown. 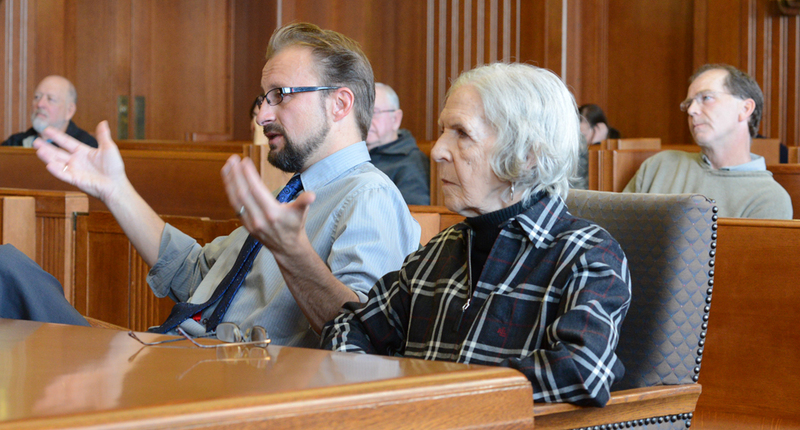 Linden Schulz leans forward to confer with Ludwig while Joan Schulz, right, listens to Bruner’s arguments on behalf of the village. 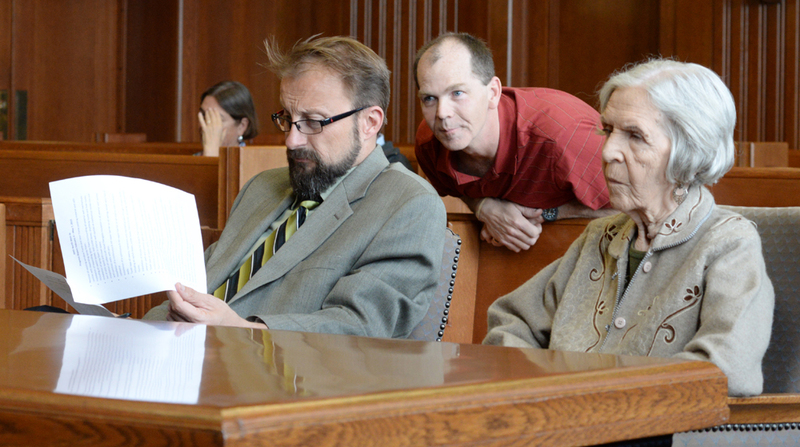 The house was deemed uninhabitable, and village sought a raze order in 2013. 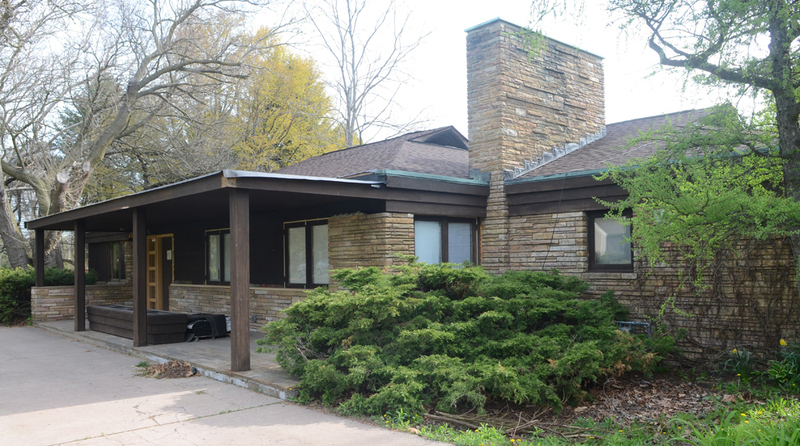 While the house was architecturally significant — Tafel was one of Frank Lloyd Wright’s original Taliesin Fellowship apprentices from 1932-1941 — the village considered it an “eyesore,” according to Todd Terry, the Schulz’s former attorney. 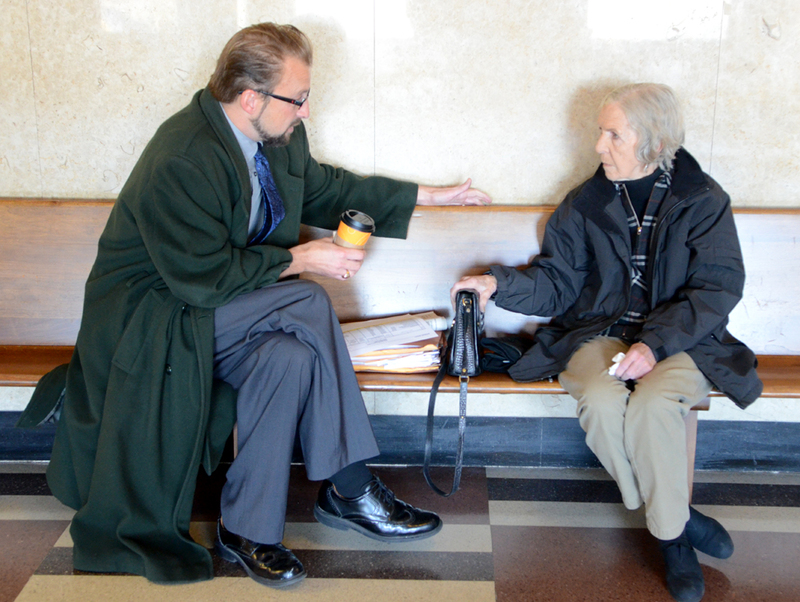 Bruner confers with village board member Karen Van Lone. Her husband, Richard Britton, is with her. 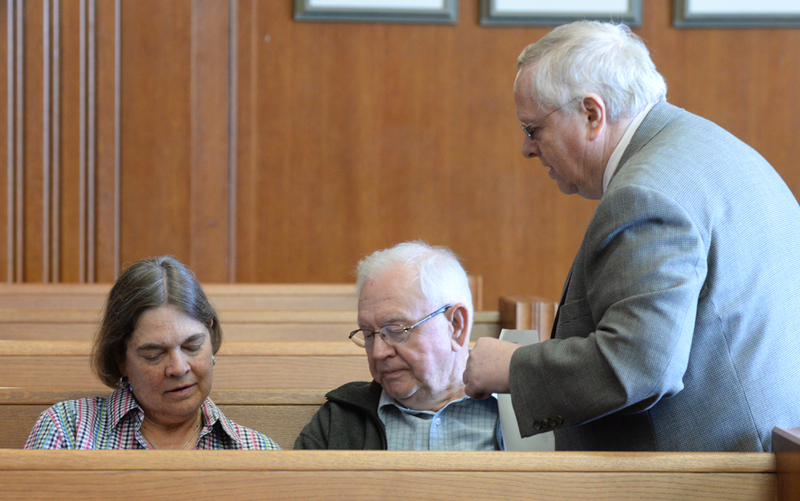 The Schulzes confer with attorney Ludwig after the hearing. The house is eligible for nomination to the National Register of Historic Places. 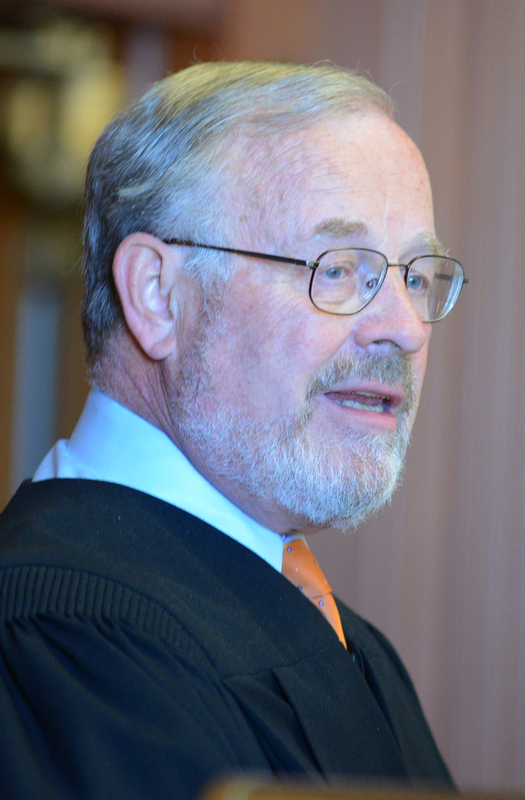 Recognizing its architectural significance, Judge John Jude, who originally heard the case, gave Schulz and her son Linden, who was going to do most of the restoration work, consideration rather than order the house razed. 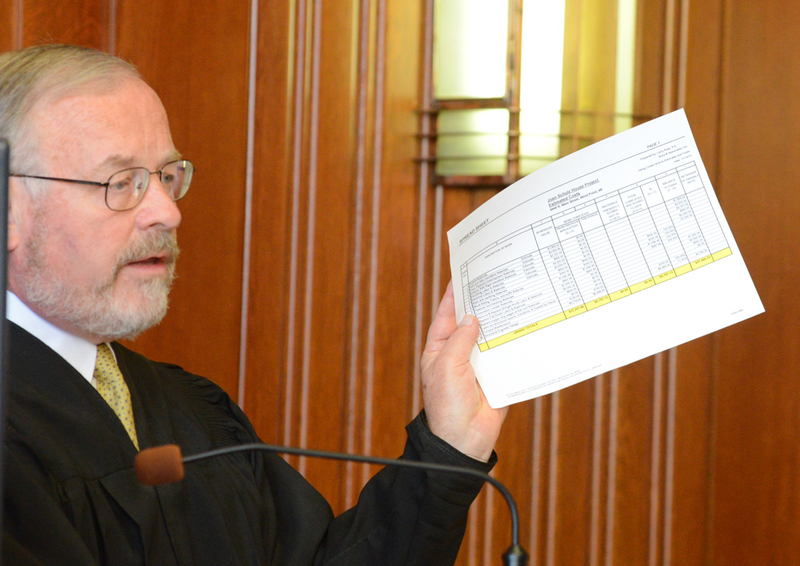 Although Schulz missed several court-imposed deadlines, he slowly made enough progress to get extensions from Jude. 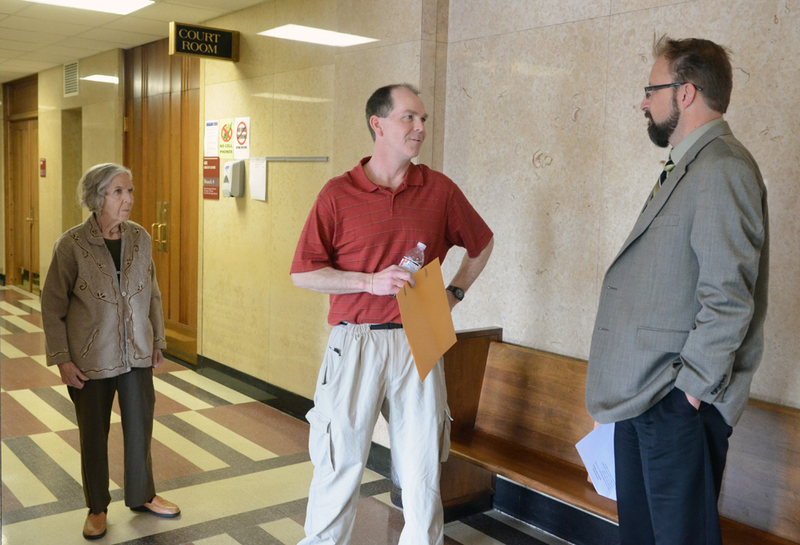 Village Administrator Michael Hawes, Bruner, Van Lone, and Britton leave the courthouse after the hearing. 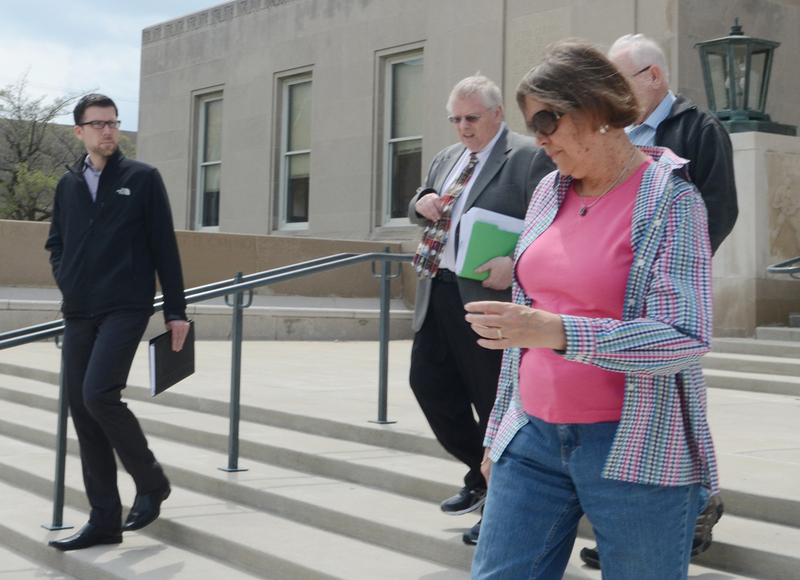 The Schulz family was told in February that fines might be imposed at the May 8 hearing if there was no occupancy permit by then. While acknowledging that progress has been made, the house is unfinished inside, and Flancher granted the village’s request for fines to push the work to completion. 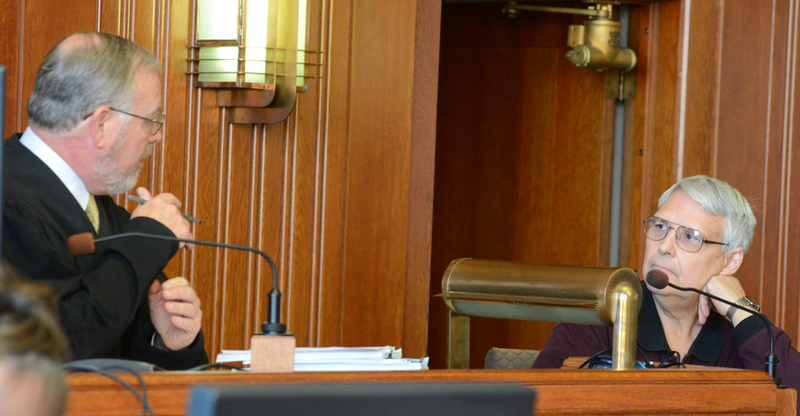 Michael Hawes, the village administrator, acknowledges “What’s going on now is better than where we were,” with respect to the condition of the house, but says the village wants the property to be able to pass inspection and have an occupancy permit issued. 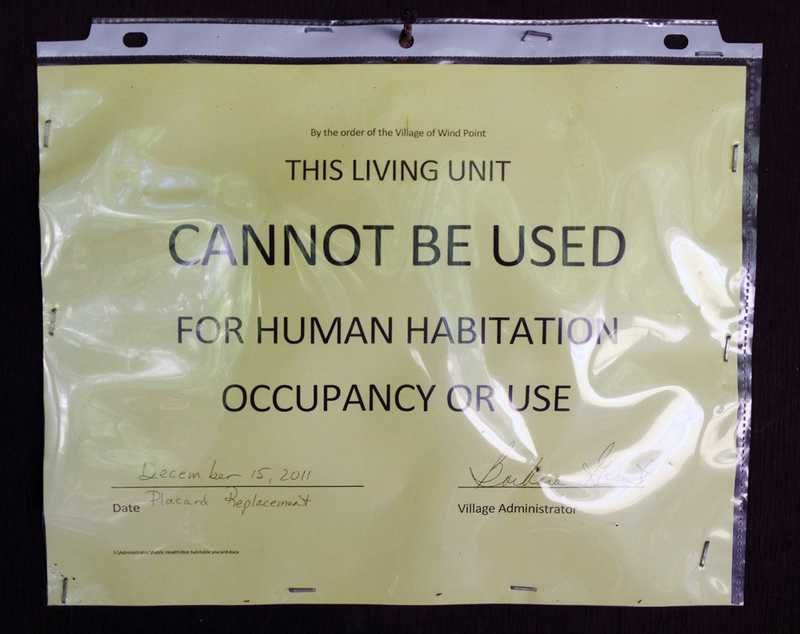 “It’s not just that it’s a matter of it being part of the community as an occupied home with people living there and people caring for the property, but also so this doesn’t happen again in the future.” The village also wants to be able to assess the house as a habitable property. 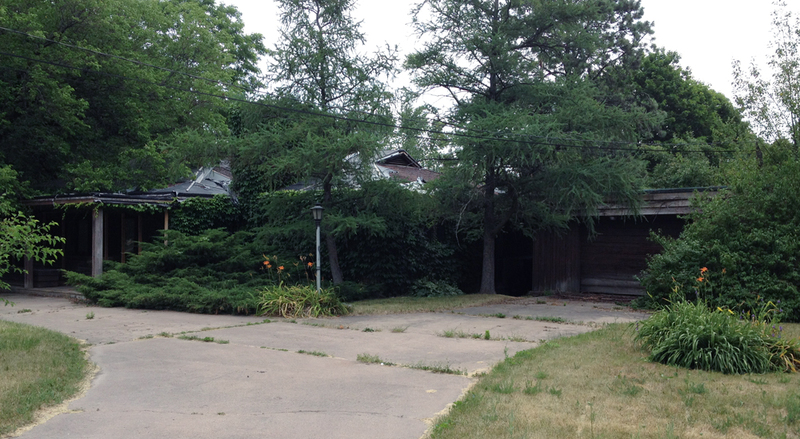 An architectural “Catch-22” sits at 4945 N. Main Street, awaiting a demolition order for February 28. 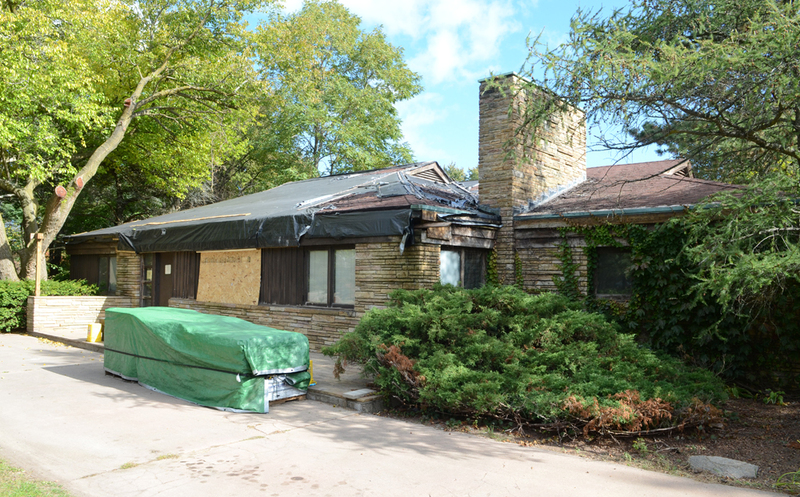 The Carl and Marie Albert House at 4945 N. Main Street, a piece of Racine’s rich architectural history, sits forgotten, in disrepair, and possibly soon to be demolished by the Village of Wind Point. 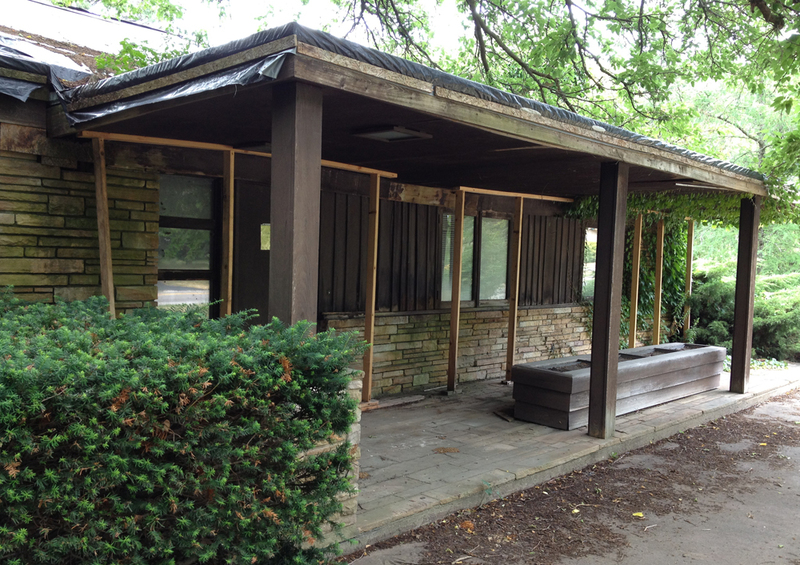 The cypress and limestone house was built by Robert Albert and Edgar Tafel between 1948-1950. Tafel signed most of the architectural drawings. The house is unknown as a Tafel work, overlooked in published inventories of Tafel’s work in Racine. 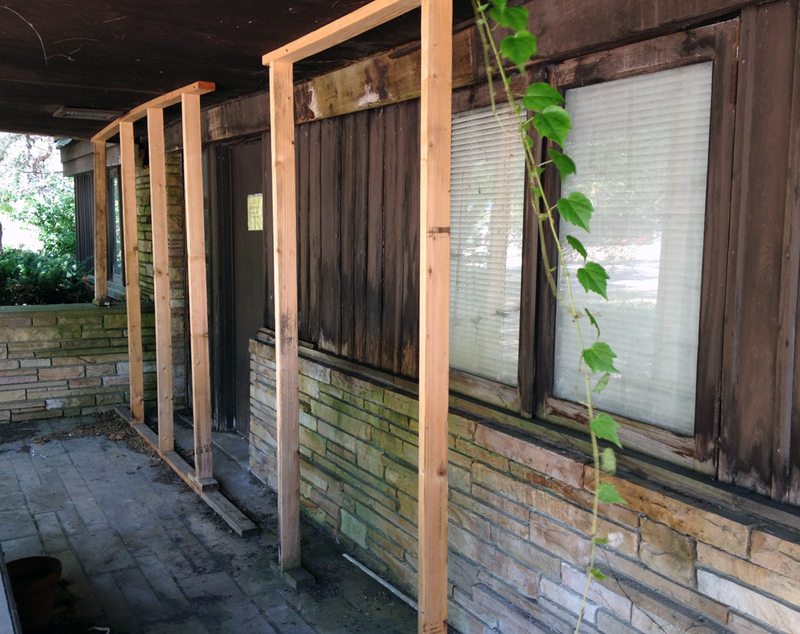 These photos were taken of the front of the house in July. 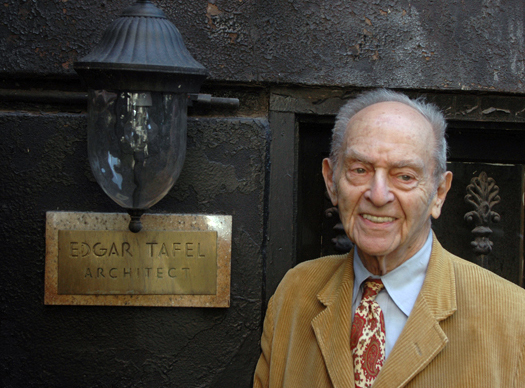 Tafel was one of Frank Lloyd Wright’s first Taliesin Fellowship apprentices (1932-1941). 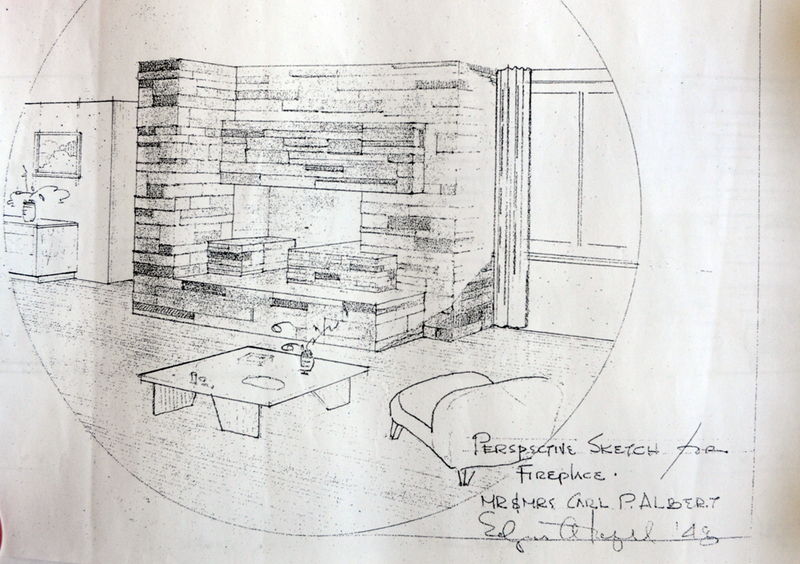 He designed a half dozen homes in Racine in the late 1940s and early 1950s. He had previously supervised construction of the SC Johnson Administration Building, Wingspread, the Bernard Schwartz House (in Two Rivers) and part of Fallingwater for Wright. He then had a distinguished career as an architect after World War II in his native New York City. He was almost 99 when he died January 18, 2011. Schulz bought the house in 1972 with her late husband, Dr. Gilbert Schulz. He died just six months later. She hopes to stave off demolition, “First of all I hate to see it destroyed or razed, because of the design of the home, and the home itself.” Problems stemming from the damaged roof include widespread mold on the burlap which originally covered the dry wall, disintegrating dry wall, holes in some walls, and a rotted header. Much of the roof is covered by a black tarpaulin. 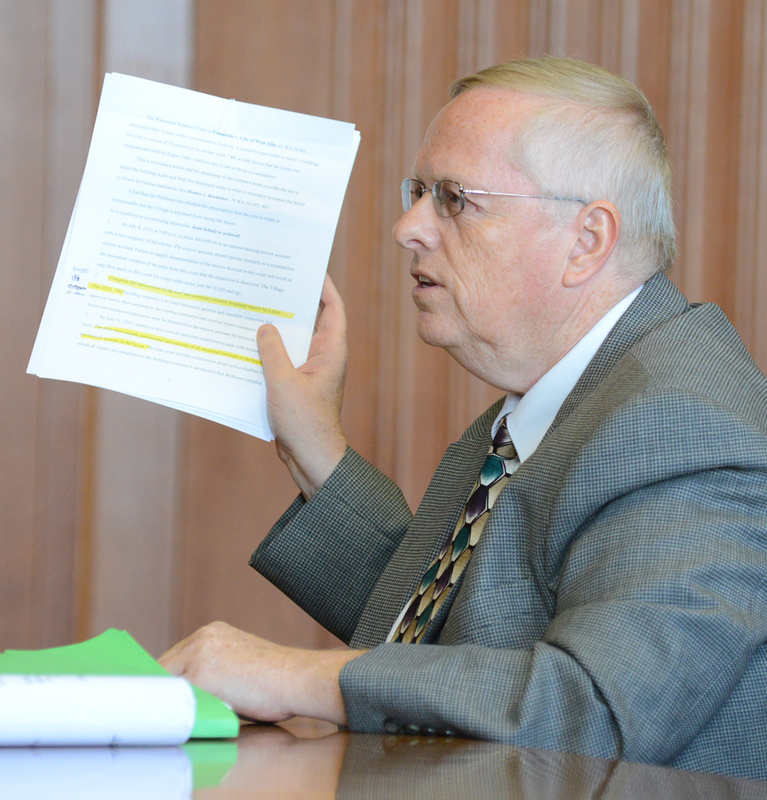 In July Terry said, “We are in municipal court on a nuisance matter, ordinance type of things, on habitability. 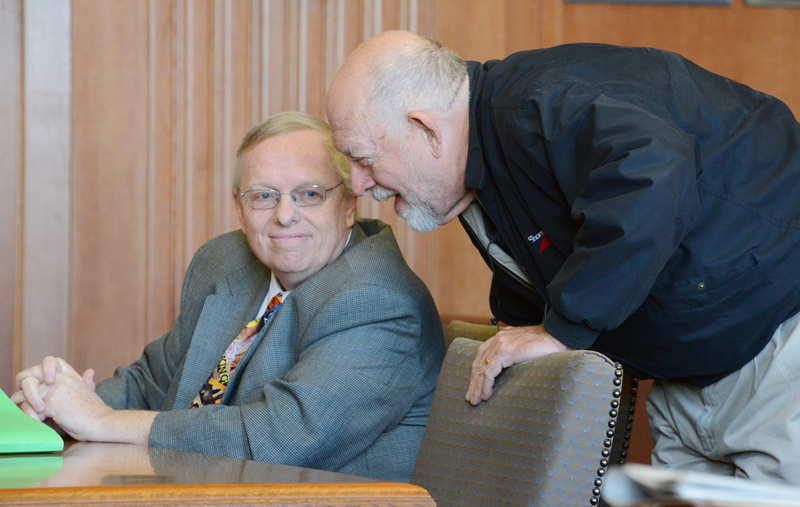 My speculation is that in the very near future they probably will file with a circuit court judge asking them to allow them to tear it down or raze the property.” Until then, Schulz would be assessed a $50-a-day penalty, dating back to January, 2012. 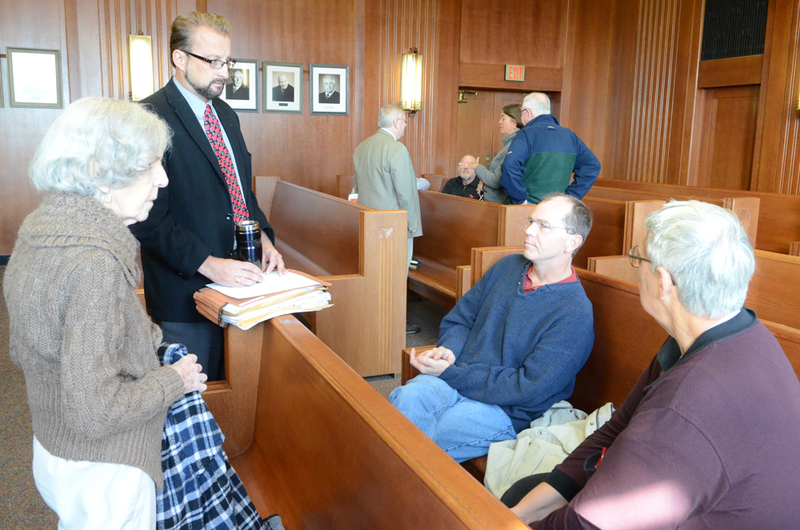 Schulz paid the $11,200 ordinance fines in November, rather than demolish the house. She disputes the village’s contention that she had agreed to raze the home in November. 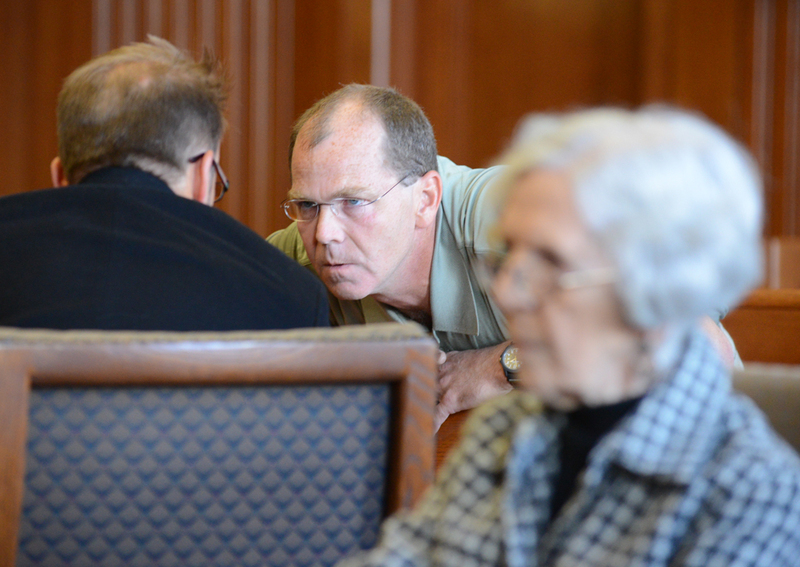 While she still hopes to save the house, the village has run out of patience according to its attorney, Ed Bruner. “There’s been a determination made by the building inspector that the cost to repair the house far exceeds 50% of its value, so that’s the problem.” He could not answer why that should matter if the homeowner was willing to spend the money for repairs. 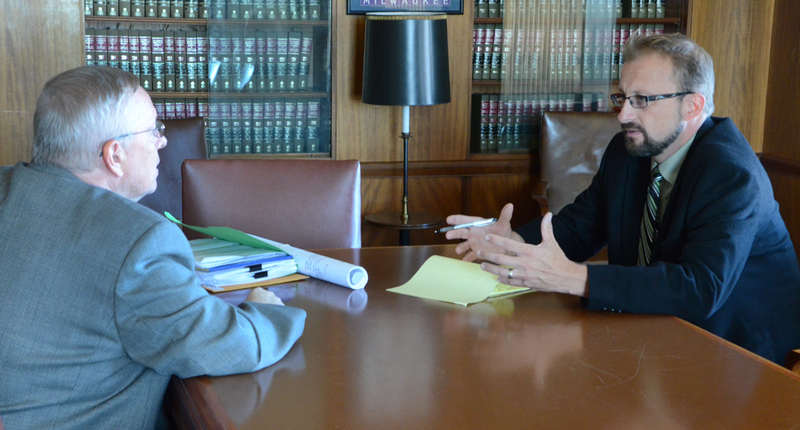 Nor did he have an answer about Schulz’ “Catch-22”conundrum, that she was told that even though the house needs repairs, no building permits would be issued for those repairs. The village’s appraiser values the house at $25,000. 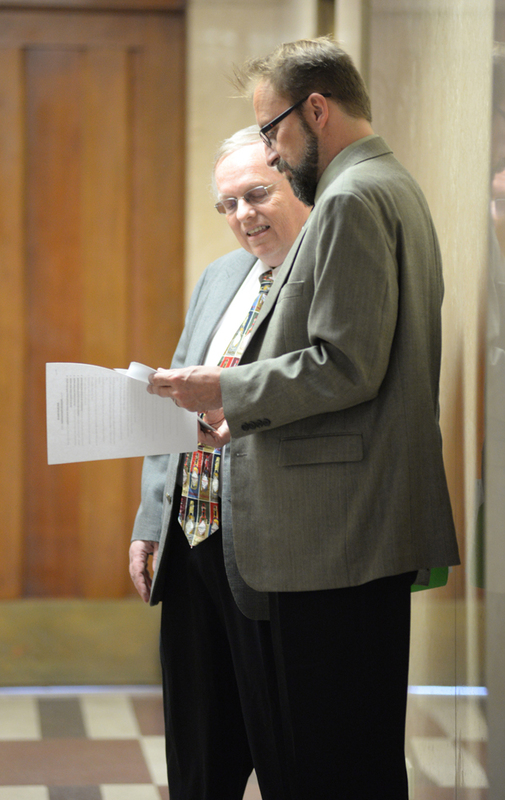 An appraiser hired by Schulz valued the land and house at $115,000. The village would not let her sell the house to an immediate family member, which negated a possible sale to one of her sons, she says. 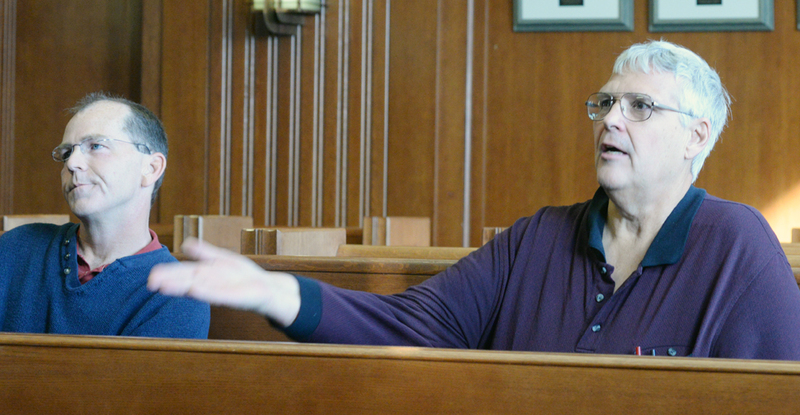 She says she also had an offer to purchase for $61,000, contingent on the buyer getting the building permits that the village will not issue. 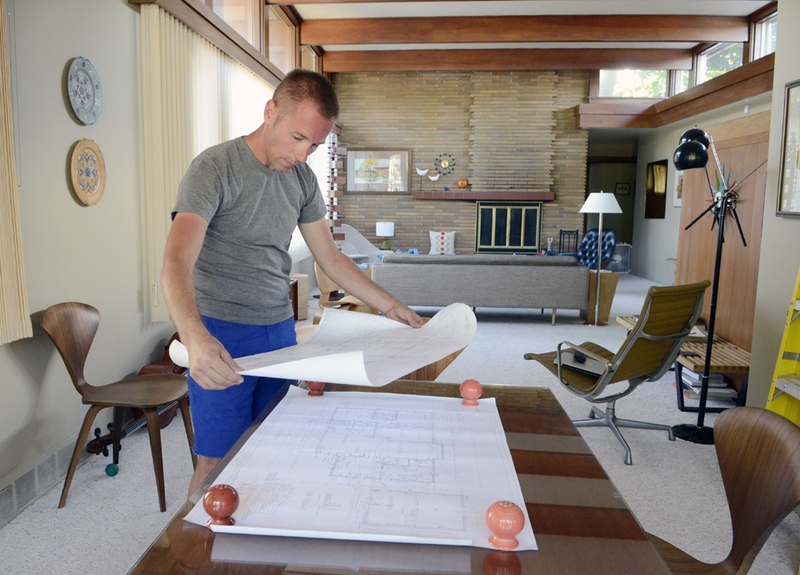 Drew looks at the plans for the Albert House in his own Tafel-designed home. 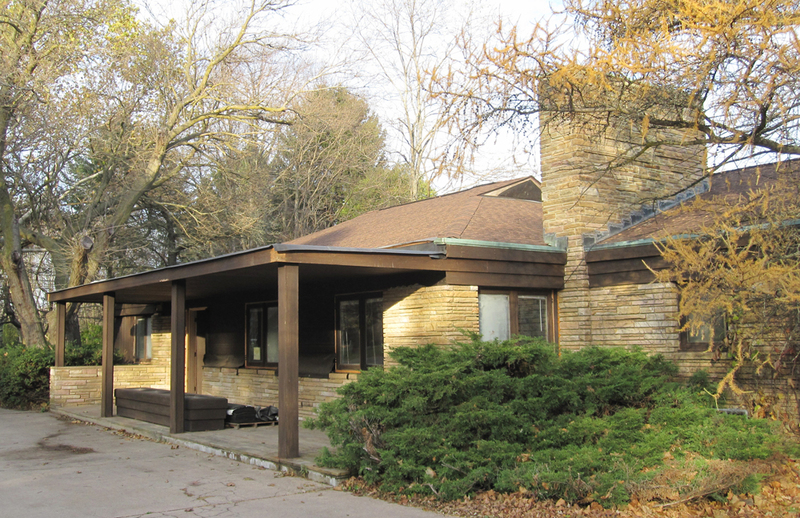 McDonald, who was sometimes referred to as “the poor man’s Frank Lloyd Wright, designed 20 homes in Racine. He died in 2003. 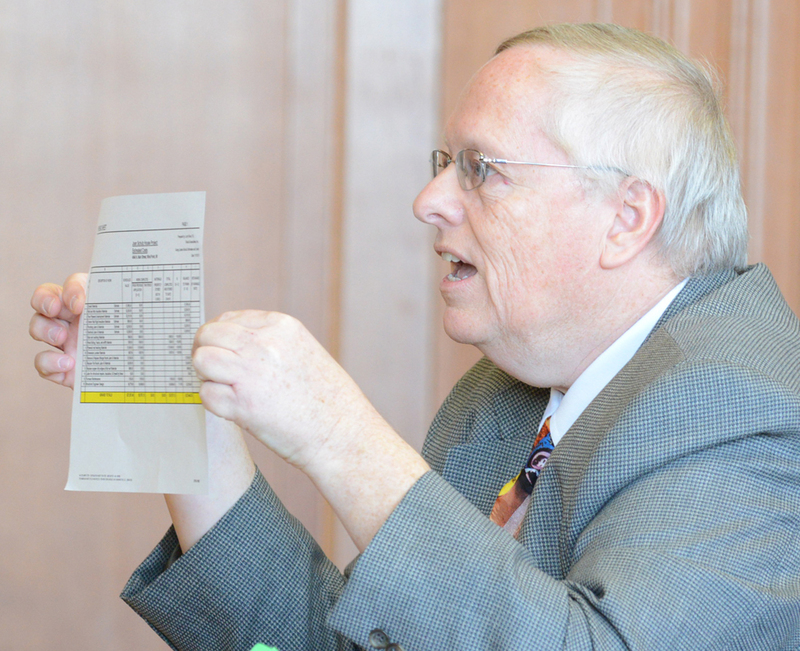 There is no documented record of collaboration between McDonald and Tafel, and Tafel expressed disdain for McDonald to me during a visit to Racine 10 years ago. It seems that even if she gets a stay, the stand-off between Schulz and the village will continue: the house needs repairs, but no building permits will be issued. Demolition of the house seems inevitable.